This week I was inspired by a new challenge feature going on over at Silhouette blog where they are challenging readers to create a project with a new popular shape each Friday! Fun, right? Such a fun versatile shape, don't ya think?! So I was feeling inspired by several of the options, but in the end I narrowed my focus to two of the banners in the set. For my first card I had some super cute papers sitting at my desk from Doodlebug's new Flower Box collection. I love how this banner looks like it was made to go with these papers! 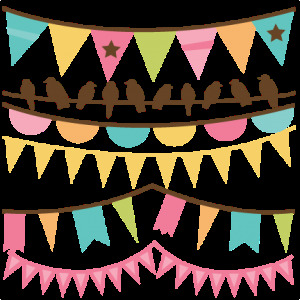 I paired the banner with Silhouette's previously free polaroid frame shape, a bit of Doodlebug's baker's twine and a couple stickers. 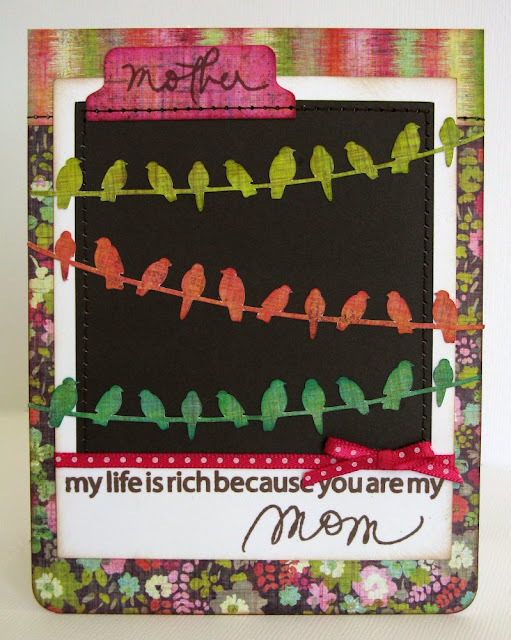 After finishing the first one, I decided while I had everything set up it would be super easy to use the same general layout with different papers to create a Mother's Day card. For this one I turned to some older Basic Grey papers (Sweet Threads Collection) and my Technique Tuesday "Mama=Love" stamp set by Ali Edwards. Oh wow - I love what you have done with the banners - particularly the 1st one! Glad I jumped here from the Silhouette blog to have a look at your lovely projects. oh I love the first one. I love how you used the twine for the string and that paper is darling! 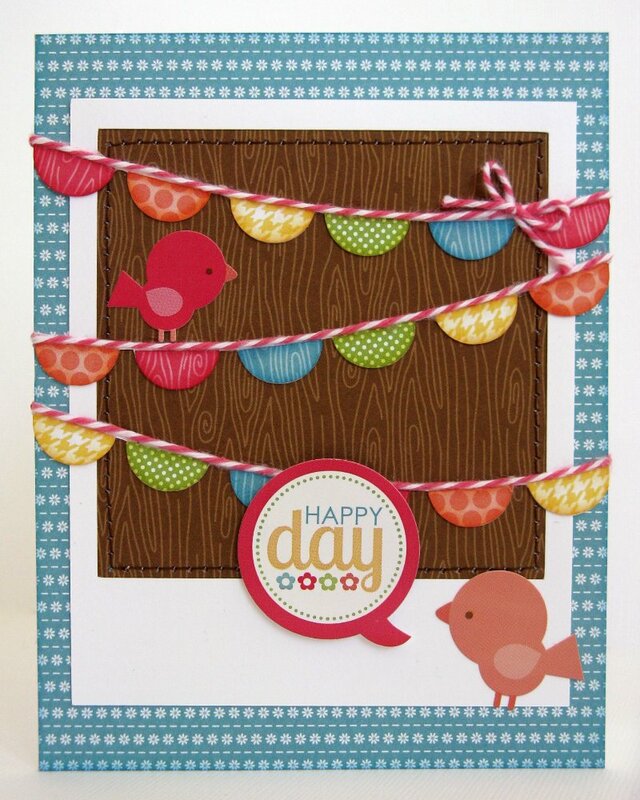 I would have never thought to use the birds in the 2nd card that way, but it's super cute! Mendi both cards are so pretty! I love them both a lot and they both speak differently to me. The first one of course is just adorable in every way. The 2nd one, very unique and clever. I say this because you used the birds on a Mother's day card and what that is saying to me is that birds are a part of nature, nature is beautiful, your mom.. well.. she's beautiful too, to you an to your heart. It just speaks volumes. I think it was very clever on your end. Well done! Have a wonderful weekend and a beautiful and blessed Mother's Day my friend! Super adorable cards Mendi! Love how you used the cuts on each of them!!! These are such great cards Mendi...I am especially in love with that first one...just adorable!! !